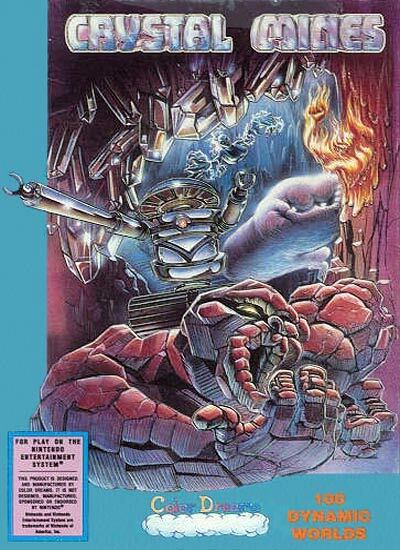 In Crystal Mines the player controls a robot via remote control to conduct a mining operation on a newly discovered planet in the year 2265. The robot can use energy balls to dig through dirt and rock as well as defeat enemies. On each level, the player is required to collect a certain number of crystals while avoiding falling rocks and enemies. Once the required amount of crystals have been collected an exit appears somewhere in the level that takes you to the next level.